Our community-based study focuses on the health and wellbeing of racialized black mothers of children with developmental disabilities. Racialized mothers of children with developmental disabilities bear a disproportionate burden of stress, illness and health inequities. They are marginalized due to race, gender and disability, and their experiences of discrimination have been linked to poor health outcomes. In our study we are interested in understanding the experiences of racism faced by racialized mothers of children, youth, and emerging adults with DD; the types of health promotion strategies mothers recognize as participatory, and with positive impacts on their health; and the types of health promotion strategies that mothers find to be inclusive and meaningful. 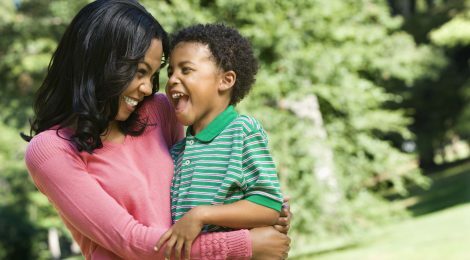 Mothers: We will conduct interviews with racialized black mothers who have a child with developmental disabilities between the ages of 5-29 years old. A $30.00 dollars honorarium will be provided to mothers who participate in a 1.5 hours interview. Download and share the study flyer for mothers (PDF). Service providers: We will also conduct interviews with service providers with experience serving this population. Study flyer: Download and share the study flyer for service providers (PDF). The research team is led by Nazilla Khanlou (York University), our community partner is Gail Jones (NABORS – Neighbours Allied for Better Opportunities in Residential Support), and other team members include Deborah Davidson (York University), Helen Gateri (York University), and Masood Zangeneh (University of Guelph-Humber). This study is funded by Women’s Xchange at the Women’s College Hospital, and has been approved by York University’s Research Ethics Board.